The Apple TV is a streaming video box for watching TV shows, movies, music and more on high-definition television sets. The latest edition of the device, unveiled alongside the new iPhone 6S devices and the iPad Pro, brings several, much-anticipated enhancements, including a new remote with Siri support and sensors for fun game play as well as a dedicated app store. 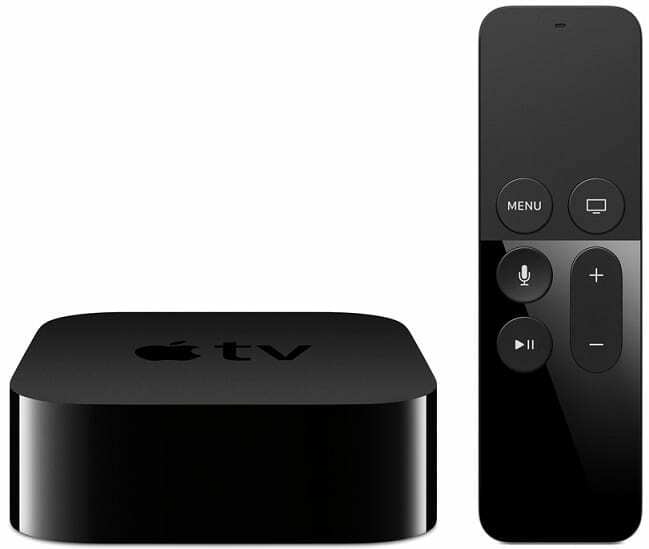 The new Apple TV features a slightly bigger and heavier body than the previous-generation device. It is about 5.5 ounces heavier while coming in 0.4-inch taller. The puck-like streaming box has a black finish. On the rear is a familiar HDMI port capable of Full HD (1080p) video output. It also has a wired Ethernet port and a USB Type-C port. However, it lacks optical audio output seen on the last Apple TV – bad news to people with audio systems lacking HDMI support. The latest Apple TV is configured for more robust performance. It is equipped with its maker’s A8 processor – the same one used for the iPhone 6 and its phablet variant. This chip promises far more power than the A5 chip used in the last box. Apple TV will be available with 32GB or 64GB built-in storage. In terms of the OS, Apple has also done something by running its TV box on the new TVOS operating system. The TVOS 9 is said to have been built based on the iOS, but optimised for HDTV display. The new Apple TV streaming video box comes with a sophisticated remote with integrated motion controls called the Siri remote. The improved remote looks not much different from the old one, but is larger and has a glass touchpad at the top. It supports navigation by tapping and swiping and can work via Bluetooth enabling you to use it for control even without pointing at the box. The Apple TV remote has inbuilt accelerometer and gyroscope useful for motion-based games – similar to a Nintendo Wii. The remote also has dual microphones and supports Siri voice search and controls. Apple TV comes with integrated Bluetooth and Wi-Fi 802.11 ac offering faster wireless connection speeds. Its sophisticated remote makes use of a Lightning connector for battery charging and promises battery runtime of up to three months on a single charge. The streaming video box now has a complete official App Store with support for third-party apps. It supports third-party controllers for gaming as well. Apple TV will be available in October at a price of $149 (29,500 Naira) for the 32GB model and $199 (39,500 Naira) for the 64GB model.